The Sons of The American Legion Post 176 meets the second Tuesday of each month at 7:00 p.m. in the Game Room. 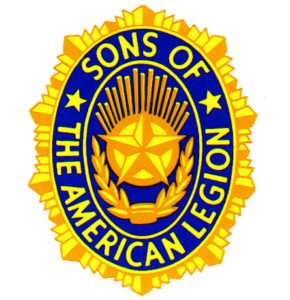 Founded in 1932, Sons of The American Legion (S.A.L.) exists to honor the service and sacrifice of Legionnaires. S.A.L. members include males of all ages whose parents or grandparents served in the U.S. military and were eligible for American Legion membership. Members of The American Legion, American Legion Auxiliary, American Legion Riders and Sons of The American Legion comprise the Legion family, which has a combined membership of nearly 4.2 million. The S.A.L. has study programs recommended for younger members. One such program, called “The Ten Ideals,” teaches the elements of patriotism, health, knowledge, training, honor, faith, helpfulness, courtesy, reverence, and comradeship. If a member completes the Ten Ideals program, he is eligible to continue with another program called the “Five-Point Program of Service.” This program covers patriotism, citizenship, discipline, leadership, and legionism. Since 1988, S.A.L. has raised more than $5 million for The American Legion Child Welfare Foundation. SAL members have volunteered over 250,000 hours at veterans hospitals and raised over $915,688 for VA hospitals and VA homes. The Sons also support the Citizens Flag Alliance, a coalition dedicated to protecting the U.S. flag from desecration through a constitutional amendment.